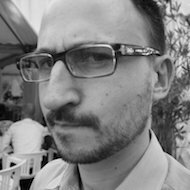 I'm Andrea Vaghi, a Front End Engineer. I'm passionate about the web, its possibilities and openness. I embrace a philosophy of continuous improvement, through studying and daily practice. Contact me at @andreavaghi or by email.